Great leaders make their voices heard. 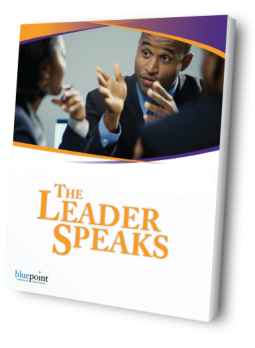 The Leader Speaks is a comprehensive exploration of the core tenets of great leadership communication studied through the use of several video case studies of business, social and political leaders. Effective communication is not simply another leadership competency. It is the very heart of leadership. Success is less about a leader’s performance and more about his or her impact. Great leaders make their voices heard. The Leader Speaks is a highly experiential workshop designed to provide participants with the theory, application, practice, and feedback necessary to significantly accelerate their communication effectiveness. Through a series of thought-provoking lecturettes, experiential exercises, video case studies, and communication practicums, participants learn how to use their natural leadership and communication talents.